Bangladesh is home to the eighth largest population in the world. In spite of stagnating exports (RMG) and slightly declining remittance trend, the economy has grown due to rising consumption and increased government infrastructure investments. The country is experiencing demographic dividend with 60% of population aged below 30 years, and 2.2 million entering the work force each year. Middle and Affluent class (MAC) population are the surging consumer class with both the intent to buy (demand) and capacity to buy (affordability). This surging economic class is the major target group for companies. Currently 11.7 million as of 2015 statistics, BCG predicts MAC population to triple to 34 million by 2025. The energy sector is critical to securing sustained economic growth of the country. Natural gas has been the country’s main source of energy fuel. Although producing significant volume of natural gas, Bangladesh still cannot meet its local demand. As confirmed by Petrobangla, the country’s gas reserve has decreased to 12.88 TCF in the producing and non-producing fields. To counter the decreasing gas reserves of the country, LNG is scheduled to be imported and blended with domestic gas in the national gas pipeline. The LNG terminal is expected to be operational in the middle of 2018, at the rate of 500 mmscfd, which will correspond to 17% of energy demand. The government is actively considering reduction of duties and taxes on import of LPG and LPG cylinders to boost import and to expand its usage to ease mounting gas crisis. The budget of FY 2016-17 has rationalized the Customs and Supplementary duty which has had a positive impacts LPG cylinder price for end users. The government had been planning to raise gas prices for aligning with international LPG prices. In 2017, gas prices were hiked twice, by an average of 22%. Depletion of Gas Reserves: Since natural gas contributes a major portion of electricity generation and thus contributes 56 percent of domestic energy demand; a necessity for alternative resources have come up and as a result LPG and other energy sources have appeared in the scenario. 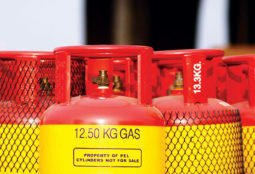 Unavailability of Fresh Natural Gas Connections: Due to government’s suspension on piped natural gas connections to households and industries, the demand for LPG has gone up to meet the daily gas necessities. Increasing Number of Households and Industries: Because of the increase in households and industries, there is a shortage in the projected domestic demand for gas, even if a conservation policy is undertaken. LNG is considered to be the possible alternative for industries. For households, LPG is expected to become a substitute for household gas usage. Price Subsidy: GoB is expected to provide the consumers with price subsidy for promoting LPG usage in the upcoming 2018-19 budget. Policymakers hold this belief that the demand for piped gas can be driven down if the use of LPG is promoted well for industrial and household use. Since the industry is largely import oriented (95% of the total LPG is imported), the import forecast gives us the idea about the growth of the market. The market is growing at a rapid pace and the pace but the anticipated amount of import and production still will not be sufficient to meet the anticipated demand for LPG. The industry consists of a number of players in the market among which only one is public company (state owned). Although the industry is generally import based, there are a few companies that have their own production facility (e.g. Bashundhara and Kleanheat Gas), each has production capacity of one lakh tonnes. More brands are expected to enter the market as the government has granted more than thirty more licenses to private operators. The LPG industry consists of local players like Basundhara, Jamuna, Omera, TK Gas and foreign companies like TotalGaz and Laugfs Gas (corporate brand name Kleanheat gas). Omera has yearly sales volume of 140,000 MT/year. The main plant of Omera LPG is in Mongla with 3,800 MT capacity. Bashundhara LPG has state-of-the-art LP Gas plant in Mongla having capacity of 3,000 Metric ton with daily refill capacity of 50,000 units of gas cylinders. The LPG market is led by Bashundhara (24%) followed by Omera (20%), Jamuna (17%) and BM (11%). The market projected to grow by 3.5x times from 817,736 MT in 2018 to 2,921,676 MT in 2024. Any new entrant joining the fray in the LPG market should look to ensure distribution in regions with low penetration. A road map would be tracking regional growth in Middle and Affluent Class (MAC) population, while identifying regions which will host economic zones.